CIFE awards prizes each year to recognise students who have done outstandingly well and we’re thrilled that our students have won four of these top prizes this year. Onusa Charuwana won CIFE’s highest accolade, the Gold Award for outstanding achievement. Onusa is a highly focussed, determined, gentle, modest and inspiring student. She came to England to learn English as well as taking her A level studies. At Cambridge Centre for Sixth-form Studies she demonstrated her academic prowess by only dropping 21/2000 marks across her A levels and gaining 4 A* in Art, History of Art, Physics and Maths as well as an A* in her EPQ and 8.5 in her IELTS English. 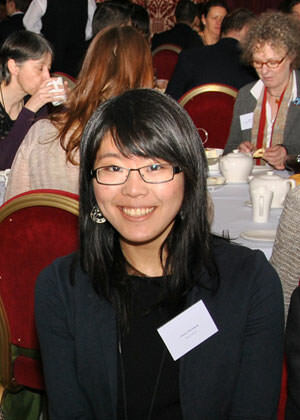 Onusa’s meticulous approach to study and enthusiasm for Architecture led her to put forward an original solution to housing problems in Thailand and gained her respect from the team of Architects leading the new Microsoft Research Development in Cambridge during the times she spent with them. Onusa is now studying Architecture at Lucy Cavendish College, Cambridge. Onusa is the thrid CCSS student to win the CIFE Gold in the past 4 years! Walter Kaehm received an Andrew Osmond Maths award. From the day Walter joined CCSS he played a full part in every aspect of the College. Not only was he Treasurer of the Student Council and a permanent member of the Extended Science club he was also highly focussed in his academic studies. He was a very popular, modest student who also motivated and encouraged others. Walter gained a gold award in the St Catherine’s College, Cambridge Chemistry Challenge and went on to represent the UK at the International Chemistry Olympiad in Washington gaining a bronze medal. He gained 4 A* in his A levels and an A* in his EPQ and is now studying Chemical Engineering at Sidney Sussex College, Cambridge. Tanaporn Na Narong also won an Andrew Osmond Maths award. Tanaporn is a true scientist and mathematician. Her interest started at the age of 10 when she found she could not bounce a ball properly and conducted her first experiments to solve the problem. Her creative and practical approach to Physics and well as her enthusiasm enabled her to gain Gold in the Thailand Physics Olympiad and she became a mentor and assessor in the Olympiad camp. Since then, as well as learning English she completed her A levels at CCSS in one year gaining 4 A* grades and 15 maximum unit scores out of 20 as well as achieving Gold in the Senior Maths Challenge. 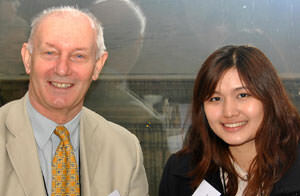 Tanaporn is now studying Natural Sciences at St John’s College, Cambridge. 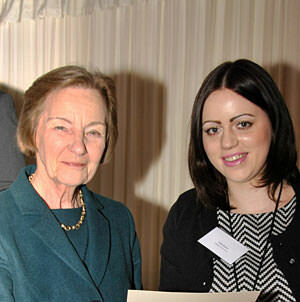 Emily Brown received a CIFE College Award for all-round contribution to college life. Emily has chosen to study Sociology because she believes it will give her an invaluable foundation for understanding why society is the way it is and how it can be improved. This really describes Emily’s approach and effect on the College. As Chairman of the College Student Council Emily helped change the way it functioned. She was a role model to many in the way she encouraged and supported others and through her own approach to work. Attending the Global Young Leaders Conference in Washington and undertaking work experience with an MP demonstrated her proactive approach to life. Emily gained ABB in her A levels and grade A in her EPQ and is now studying Sociology at Edinburgh University.